Hello Dealsnloot Readers, We Finally Today Back Again With A New Referral Deal Of Paytm Cash After So Many Long Days. 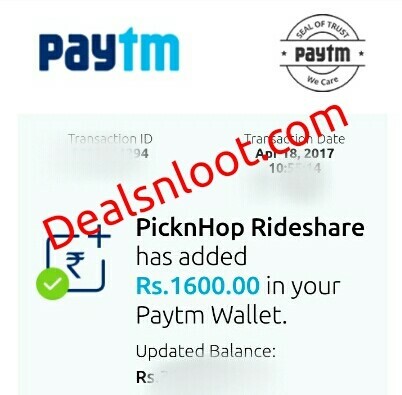 Now A App Named Picnhop Is Giving Away Paytm Cash Refer & Earn In Which You Can Earn Huge Paytm Cash Free.New App Called “Picnhop App” Which is Giving Free Paytm Cash For Referring Your Friends. They are Giving Rs 100 Paytm Cash Just For Referring 5 Friends.Paytm Cash Will Be Sent Within 28 Days To You In Your Paytm Wallet. Best Part Of App Is It’s Refer & Earn Is So Easy & It’s Giving Huge Amount To Per Friend Refer.So Hurry !!! Grab Unlimited Paytm Cash. Update :- Today is last day of this offer. Offer is genuine, so just Install & Refer 5 Friends to get Rs.100 Paytm Cash.Maximum Rs. 100 Earn Through One Account. You Will Receive Rs. 100 By 15Th May 2017 In Your Paytm Wallet. 4. Click on CREATE ACCOUNT. 5. Now You will redirect to Play Store. Just Download PicknHop app & Install it. 6. 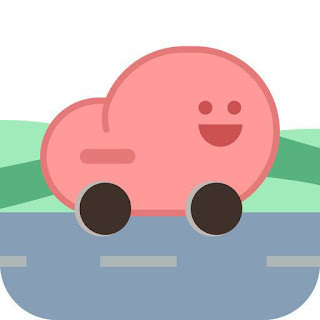 Open app and Skip Introduction. 7. Enter Mobile Number & Verify via OTP. 9. Click on Menu, Then Click on Referral. 10. Now Copy your Referral code & Share it with your friends. 11. You will get Free Rs.100 Paytm Cash on Referring Just 5 Friends. Dates of PROMO: 17th April, 2017- 23rd April, 2017 midnight. We will get back to you on the referral and download status shortly till then keep referring & using the app. YOU DON'T NEED TO CONNECT TO PICKnHOP PAYTM WALLET ! If qualified for the promo Paytm money will come to YOUR PAYTM WALLET account connected to your registered mobile number. It will not be credited to the PicknHop paytm wallet. PICKnHOP Limited Period Referral Promo got over on 7th April 2017 midnight. Anyone who has qualified and got paid in this promo already will not be eligible for PROMO2 : PicknHop '5' Referral Promo(Regular) which is on till 21th April 2017.